After 18 months of maintenance check-up with my doctor, he finally broke the bad news to me the medication he prescribed to me years ago to control my hypertension is no longer working. The blood pressure readings have been going up each and every time I came in for a check-up and he was very concerned. To make a long story short I left the doctor’s office with new prescription. I’ve had several other doctors’ visits since then this past summer and my high blood pressure is once again under control due to the higher dosage my primary doctor prescribed to me. Let’s face it who am I kidding… myself? I’m in my mid-40s and I am 5 ft 6 inches tall. Oh did I mention we go out to eat a lot. Yeah my life is a recipe for disaster! My ideal weight is around 145 pounds and I’m current weighing 175 pounds – 30 pounds overweight. I’ve been thinking about going back to the gym for quite some time and when I finally heard that the gym down the road from me had an awesome promotion of $99 to join – I finally made the move to start a new “ME”. I work out three to four times a week on the treadmill, then onto the elliptical machine then finally on the bike. And two days out of the four I do an extra 20 minute work-out on the nautilus machines working on my abdomen, hip and thigh areas. Lately I’ve been noticing after working-out I’m always hungry. I’m eating more now than ever before. This is definitely not my idea of losing weight! A friend mentioned that I should try either protein shake or protein bars for weight loss and to help control my hunger. 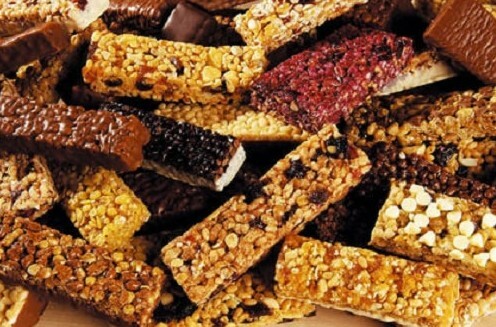 The protein bars would be ideal snacks to keep my energy up all day long. This is a huge turning point in my life, to start living and eating healthier. 180 Nutritions protein supplements seem like the ideal product for me to try. It’s all natural, no added sugar or preservatives. It contains all the good stuff Dr. Oz prescribes like flaxseed (fibre), almond meal (good fats & high protein), sunflower kernels (Omega 6 fatty acids, coconut flour for a great taste, cocoa and sesame seeds (antioxidants). 180 nutrition products comes in shakes, bars and you can cook with it too. 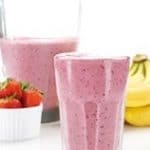 Best of all it makes a healthy meal replacement. Order your sample pack of bars today.